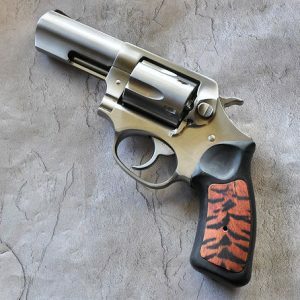 Our aluminum RUGER SP101 CUSTOM GRIPS are made in the USA, then finished in our exclusive art. 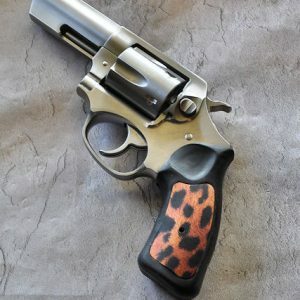 Each art design is a limited series, and completely unique in the gun world. 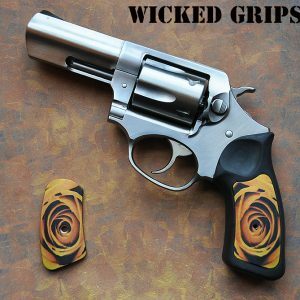 The finish of each grip insert is stronger than the Ruger factory grip insert, giving you a lifetime of enjoyment without worrying about damage from daily carry. These grip inserts replace the small plastic insert in your rubber factory grip, and come with a new replacement screw. 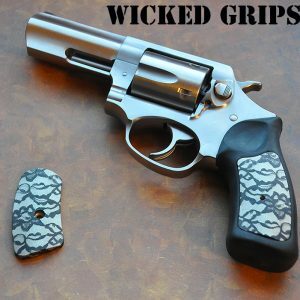 We do NOT include the rubber factory grip, these are replacement inserts ONLY! LAST SETS AVAILABLE FOR THIS MODEL! Please click on photo to see product description page before ordering.